Led by the MS Impact Club, middle school students participated in a service project for veterans at the local VA hospital. Students donated candy and each middle school student made a Valentine’s Day card. Student volunteers packaged the donated candy and attached a card to each. 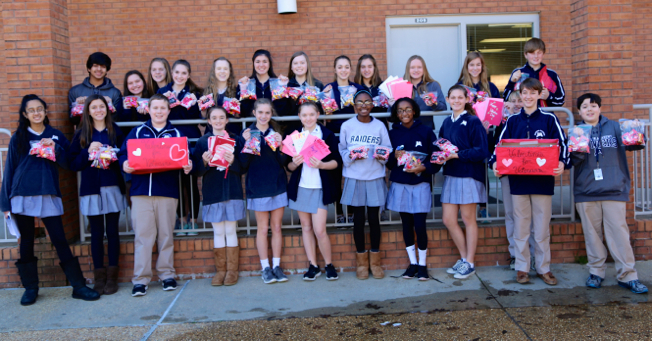 The cards and treat bags were delivered to the hospital before Valentine’s Day. Click here to view more photos from the project.